Microsoft has released a new Technical Preview build of Windows 10 at this year's Build developer conference. Although not all the new Windows 10 features that were announced at Build are available in this Insider Preview release, users will find improvements to Continuum, Cortana and more. There's a lot of visual changes on the surface with build 10074, with improvements to the general user experience. The translucent Aero Glass from Windows 7 is making a reappearance on Windows 10, and Microsoft is also adding support for high DPI displays as well. There are notable improvements to multitasking and switching tasks between tablet and desktop views for users with two-in-one hybrids or tablets. The update makes Continuum more intuitive to tablet users. "When you close an application in Tablet mode, we take you back to the Start screen instead of the desktop as you would expect when using a tablet," Microsoft said of the change in a blog post. "You will see general polish on snapping, and the shared divider between two snapped windows now let's you adjust the size." For multitaskers, Snap Assist now supports the ability to close apps. Cortana is now more integrated into the Windows experience on build 10074. You can now start to search for an app within the Start menu, and Cortana will take over. Cortana's interface has also been revamped. "The new Windows split view control has been added to Cortana's left rail, offering quick access to key Cortana functionality like the Notebook, Reminders or Feedback on how Cortana's doing," Microsoft said, "This split view control helps anchor Cortana to the rest of the Windows UI and provides navigation consistent with many other Windows first party applications." Cortana can also now return results to more types of queries now. You can check for the flight status, perform mathematical calculations, convert units, ask Cortana to tell you a joke, find out the time in a different time zone, lookup definitions, check the weather and stocks, define words and also get tech help. The new release also brings with it new updates to the Xbox, Music and Video apps inside Windows 10. The Windows Store Beta app, which is formerly a gay tile, is now a blue tile. "Apps you purchased on a PC running Windows 8.1 will now show up in the Store Beta on Windows 10 as owned (and vice-versa)," Microsoft said as it is expanding its Store Beta more markets. The update also adds new system sounds to Windows 10. Additionally, on the Lock screen, Microsoft is adding new learning experiences so Insiders can get the most out of their Technical Preview experience. "This ranges from tips and tricks on the Lock screen, to helping users discover high quality apps through Start, the Lock screen and Cortana," Microsft said. 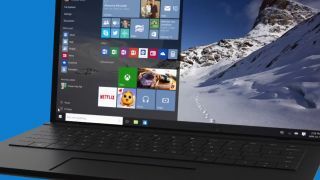 The new Windows 10 build 10074 is now available through Windows Update.